Bed, Bath & Beyond (BBBY) doesn't market itself as a low price leader. The company is known mostly for its clean, traditional "big box" stores and ubiquitous mailed coupons offering 20% discounts on individual items. That reputation is why it came as such a surprise last week when a research report claimed Bed, Bath & Beyond prices are much lower than those found at Amazon.com (AMZN). BB&T analyst Anthony Chukumba gathered pricing data on several items from glassware to cookware and small appliances at both Amazon and Bed, Bath & Beyond. On a basket of 30 such items Bed, Bath & Beyond's prices were 6.5% lower even without the 20% off coupons. 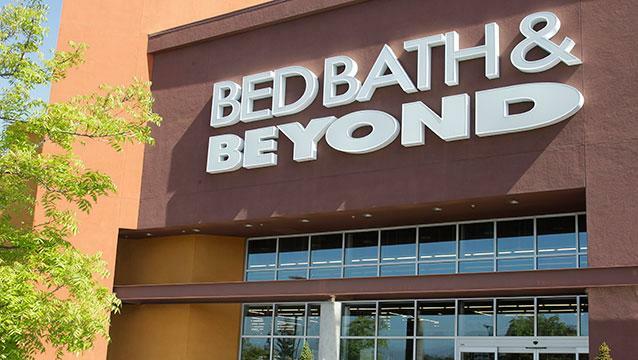 It's the first time Chukumba has seen Amazon getting undercut on price by Bed, Bath & Beyond, but the analyst says the gap between the two companies has been narrowing for over a year. Related: Amazon’s Secret Plan to Sell You Everything! The best part of the report as far as consumers are concerned is that Bed, Bath & Beyond didn't seem to set out to beat Amazon; they are just cheaper on an every day basis. Low prices aren't a marketing gimmick for Bed, Bath & Beyond. According to Chukumba the company is simply that good. "They're always very well merchandised, they're always in stock, they're always very clean. They've built a real customer service culture," Chukumba says in the attached clip. That's a bigger statement than it seems. A combination of low prices and great service is something consumers don't expect from so-called Brick and Mortar retailers anymore. The test was only 30-items. Obviously it didn't include brands exclusive to either BB&B or Amazon or anything only sold at one of the stores. There are limits to the observations but the trend is clear: Old-School merchants have gotten better in the face of eCommerce competition. That's a great thing for the industry as a whole and American consumers in particular. To appreciate what Bed, Bath & Beyond has done it's necessary to review some retail basics. "Margin" is the difference between revenue and costs. Retail is a famously low margin business because customers are so sensitive to the price at the cash register. Walmart (WMT) may do more than a billion a day in sales but only about 3-4% of that revenue ends up making it to the bottom line. For the sake of comparison a software company like Oracle (ORCL) earns about 30-cents for every dollar of sales. The advantage of doing retail online is that the merchant doesn't have to pay for the upkeep of stores or pay as many sales people. When Amazon came on the scene it was able to undercut so called "big box" retailers for two reasons. First, they didn't have to pay state sales tax. Second Amazon had lower costs and a shareholder base that didn't really care if the company ever made money. In the age of the smartphone customers can walk into any physical retailer to see a product then go online and find a lower price. The practice is called "show-rooming." Saddled with higher expenses, brick and mortar stores couldn't hope to compete on the basis of price against Amazon or other strictly on-line merchants. As a result stores became what amounts to gigantic display cases for customers. What's exciting about Bed, Bath & Beyond is less about the company itself and more about what it says about the retail industry as a whole. They have taken the price wars a step further by compressing margins enough to beat Amazon without gimmicks. The company is seeing margins shrink as it drives prices lower but it's still quite profitable. Bed, Bath & Beyond is a glimpse into the post-eCommerce revolution where the best retailers thrive by becoming more efficient. Over the last twelve months Walmart (WMT), Target (TGT) and Best Buy (BBY) have all been able to end show-rooming by matching any competitive price without losing money. They did it because they were able to adapt to a more competitive marketplace. Best Buy is the most radical example of a retailer getting smarter about the way it does business. In one year on the job CEO Hubert Joly has managed to reduce costs while improving customer service by partnering with Apple, Samsung and Microsoft to create in "stores-within-a-store." As the smartphone wars heat up, Best Buy has vendors fighting to fill floor space that's been empty since the death of DVDs. It's better retail you can see at first glance. Walmart and Target have been grinding out earnings growth for years despite moribund U.S. economic growth and disastrous international expansion efforts. The weird part is they did it by expanding into groceries, one of the few segments of retail with lower margins than their core business of discounting. The move has resulted in lower net margins but much higher revenues. In the last three years Walmart has grown revenues by $50-billion but only grown net income by around $500 million. Wall Street is willing to forgive the lower margins because earnings as a whole are growing. It's true across the entire industry. Over the last two decades good merchants have evolved into more efficient machines while bad retailers went bankrupt. Consider this: in 1987 the two biggest retailers in the U.S. were Sears (SHLD) and Kmart. Today those two companies are stuck together in one hideous entity being chopped up and sold for its brand names (Craftsman et al). Walmart and Target evolved. Kmart didn't. The consumer won. The days of desperate merchants cutting corners and selling loss-leader as a stunt are over. Brick and mortar retailers have met the challenge of eCommerce by getting better at what they do and passing along savings to customers. Prices for food and energy rise and fall but the basic stuff like mixing bowls and towels or rugs are cheaper today than they ever have been. The internet has made the world a less expensive place to live. Bed, Bath & Beyond's success proves the traditional stores can hold their own against Amazon.com but the real winners of the eCommerce price war are American consumers.